London is known for its very attractive and vibrant nightlife around the world. In the past decade, London has also been working hard to become one of the best gastronomic capitals of the world too: visitors, residents and even Michelin stared French chefs, like Joel Robuchon, all agree with the fact that London hosts the most exciting, inventive and international offer of top-notch restaurants in the world. Everything is possible in London, whatever your crave is, whatever your budget, London has it! As a serious foodie and cocktail amateur, I find myself exploring new avenues on a regular basis…letting London surprise me. From eclectic pop-up summer BBQ and crafts rooftop gardens to top notch sky bars, London has a wide selection of incredible rooftop bars in, making Parisians across the channel more than jealous. Summer is always an inspiring time to search for the latest or coolest rooftop around, but note that this type of venues is becoming so popular that you can find all-year-round sky lounges in London where you can enjoy -not only amazing city views- but also very cool atmosphere! I have selected my favorite summer (and not so summery) bars with views around the City of London (East London).. I work in this area and therefore I have been using the heat wave as a perfect excuse to hit some great spots around my office. I would definitely recommend you to come around even if you don’t live or work in East London, don’t get pushed away by the city boys “party style” as you might be surprised… drinks flow, music turns loud and, after work, it becomes one of the funniest and most trendy places I have partied in! I love the ambiance: New York style in a warm and hyper sophisticated lounge bar with breathtaking views. Located on the 31st floor of the iconic Shard, the bar at Oblix is the place where to have a signature cocktail, the best views in town and live jazz music every evening. Go there for a relaxing drink or for some good jazz vibes with views in the evening! The South Place Hotel is located two steps away from the busy Liverpool Street and financial district. I love stopping for a relaxing lunch on the rooftop or, simply, to refresh my soul on its very Provencal terrace (note that is an open air terrace so it won’t be open on a rain day). The food at the Angler rooftop terrace is simply delicious, the lavender and other Mediterranean plants a delight to all senses and the view is also great but what I love the most is this intimate and characterful ambiance with a top notch service. It closes at 11.30pm so you can also go for evening or after-work drinks! Something different, something seriously fancy. 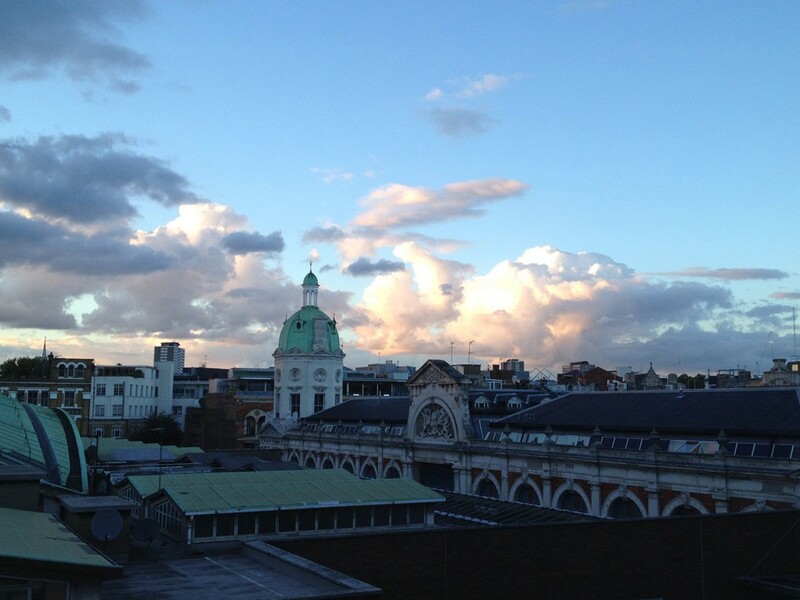 The Bird of Smithfield -and rooftop- is located just above the historic Smithfield market, the biggest and most renowned meat market in London. What to expect? Really good food, this place is all about the cuisine. The area us rather “quiet” and it is a must-go for foodies and after-work classy drinks, so if you are looking for a romantic or different venue you can’t go wrong. : wine, views, chilled ambiance and a historic background! Not quite in the City district of London, Boundary is located in very popular Shoerdich, not far from Liverpool street and the financial district. In the past 5 years, Shoerdich has become THE area where most of “city people” go out to: endless choice of restaurants (with a very obvious newyorkish influence), bars and clubs.. Shoerdich has a venue for everyone. 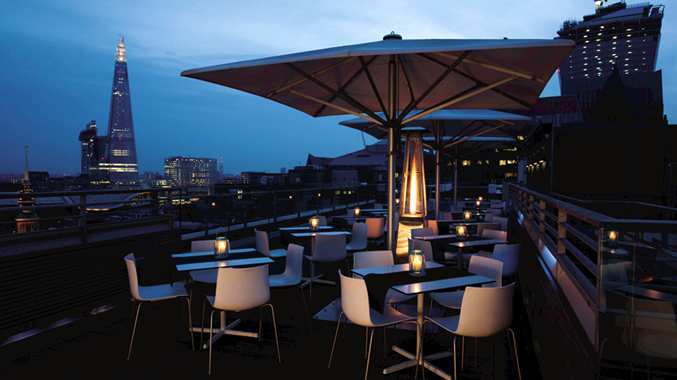 Amongst the incredible offer, the Boundary is an iconic venue with one of the best rooftops in town. 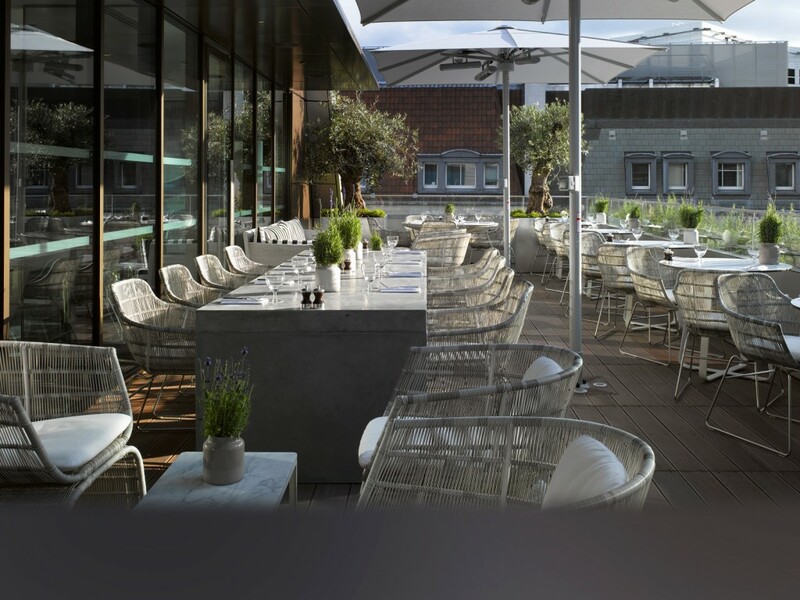 Nestled on the top of a boutique hotel, you can enjoy different views of London, a beautiful grill menu and lots of ambiance! It is open until late and all year round, so you can’t miss it! 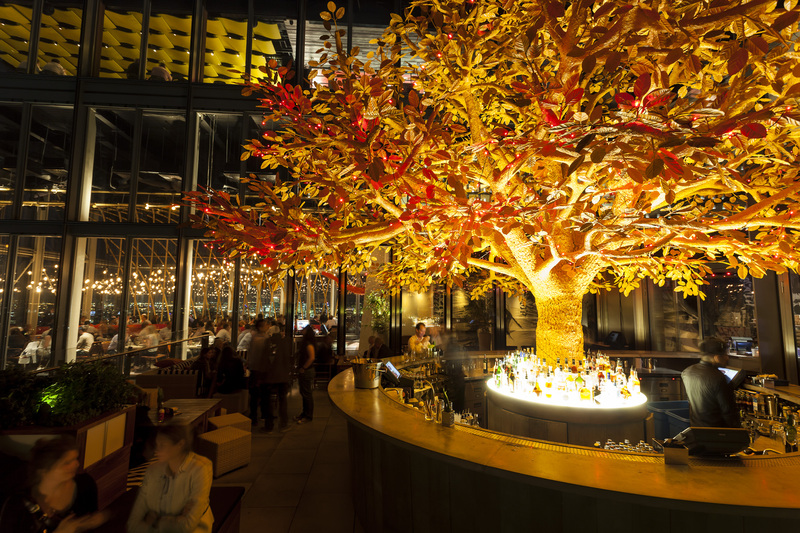 This is THE hottest spot in the City, the restaurant an bar are nestled on the 38th floor of the skyline breaker Heron Tower. Simply, do not attempt to go for a quick drink on Thursday or Friday evening: the queue to the lift is quite long (Always) and face checks applied. I love going on a Monday night for the beauty of the bar and the views over the city’s skyline. You must go to really understand what I am writing about, the feeling is out of this world: views, decor, drinks & food menu, ambiance & service. As it is quite busy, it is also a great choice to go on a Sunday during the day for some quiet time and day time views across London. 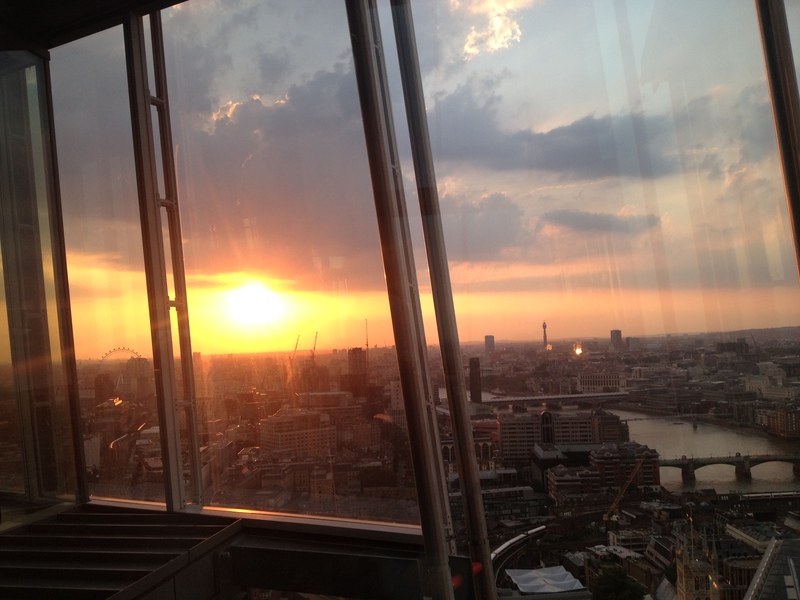 Whenever you chose to go, Sushisamba is definitely the sky lounge to see and where to be seen, unmissable! The concept is pretty much like: Saint Paul’s views, Tapas & Cocktails. How does it sound to you? You can find Madison on the rooftop of the New One Change: the shopping center right next to the iconic Saint Paul’s cathedral. You can stop there for a relaxing drink on the weekend after some sight seeing and shopping, meet friends for a vibrant city’s after-work party or spend a romantic evening dining some exceptional food with views! The ambiance is perfect, relaxed yet exclusive. Of course, you are not seatting on the 38th floor so don’t expect impressive city views but you will certainly be amazed by the beauty and detailed views of Saint Paul’s. Drinks and food are deliciously surprising even if the menu looks pretty simple at its first look. To me, Madison is an all-year-round rooftop terrace winner in the City! A great hidden secret, two steps away from Tower Bridge. Skylounge is the rooftop lounge bar of the Hilton Double Tree. Not many people know about this hidden terrace so it is rather accessible at any time. It is only located on a 12th floor yet the views are premium: overlooking Tower Hill and Tower Bridge on one side and the modern City of London on the other. The lounge bar has a really nice indoors lounge area where you can enjoy all year round magnificent views, a very modern and classy design and superb light food and quality drinks along with some great music. But if you are looking for an outdoors rooftop, this is your place! 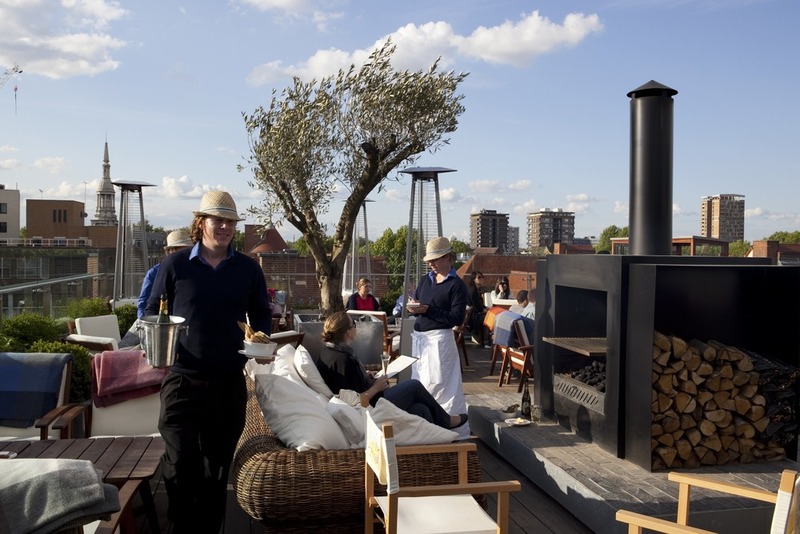 The Skylounge has a very large terrace (2 in fact) and the ambiance and service are unbeatable! Go there for some classy snacks and drinks in the sun, even during the weekend, or for a different night out with your friends! Aqua Shard doesn’t need to be introduced. 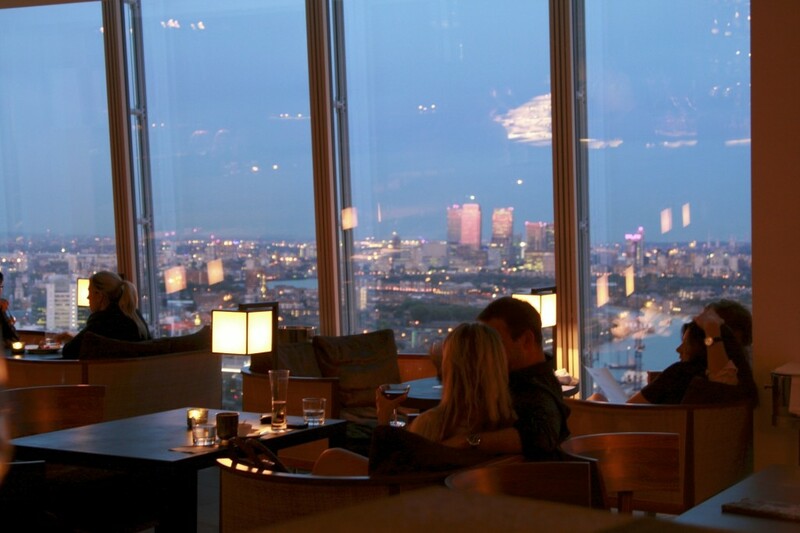 Only a few words to guide you: The Shard, 31st floor, Best views in London, top-notch drinks, food & service. Just be aware this venue is getting quite popular so expect to fight for a seat or even to get into the lift on weekends. But once you are up there, expect to be transported to another universe. Aqua Shard is the perfect venue for a High tea time, a romantic cocktail with the best views of Tower Bridge, the City of London and everything as far as your eyes can see. The sunset there is marvelous thanks to the high ceilings and endless windows. I f you want to be warranted a table to enjoy the views, I would recommend you to book a table for tea or lunch/dinner. If you have time, you can try the great (value for money) lunch menu! If you are looking for the most memorable drinks or dinner with view in London, have no hesitation, Aqua Shard will blow your mind away! 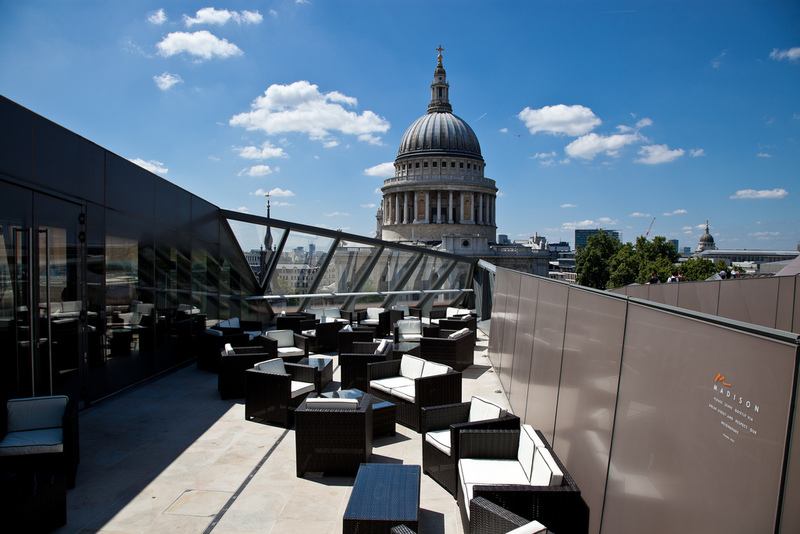 Share the best rooftop bars & restaurants of the City of London and have a fabulous time! Don’t forget to follow me for more tips and reviews from my French Perspective! « What are the best cocktail bars in Dubrovnik?